In the wake of the successful mission to retrieve scan data from the three aforementioned regions, the League of HR 6421 Dominion, backed by Federal agents, initiate a state of civil war in the CoR home system. CoR pilots rally to defend their HQ starport and over the course of 7 days of intense fighting drive out the infiltrators. The Dominion are ousted from the Julian Legacy planetary port, and CoR administration swiftly step in to oversee the welfare of the civilian population. CoR issue a statement condemning the actions of the Federal backed Dominion, and reiterate that the attempt to destroy or steal the 1.3 million packets of exploration data retrieved from the depths, remains safe and sound in CoR hands. Naturally the GalNet media once again fail to report details of the events, adding to the growing suspicion within the Core World community that the mainstream media can no longer be seen as impartial and are now firmly in the pockets of the major power blocs. On January 5th 3303 the first encounter with a live space-faring alien vessel occurs within the Star Anise system (Aries Dark Region XU-O b6-3). CMDR DP Sayre (an independent civilian pilot) has his starship hyperdicted whilst traversing the Aries Dark Region. Media reports quickly spread and the region soon becomes a hotbed of investigation by factions and agencies from across the core worlds. CoR issue a statement shortly afterwards and dispatch pilots to the area to observe and gather information on this historic event. For over a year, humanity has heard of mysterious probes in deep space, crashed vessels of unknown origin, and the ruins of an ancient civilization buried in the sands of a distant world. Throughout the strife of 3302, when tensions again flared between the Federation and the Empire and the baser aspects of human nature drove the greedy and the power-hungry to seize the Pleiades, we have waited with bated breath as reports have filtered home of these and other enigmatic occurrences. Many of us have looked to 3303 with hope that a new spirit might guide us as we once more stretch forth our hand to the horizons of possibility. Yet, in the darkness, a new voice has spoken and shaken us from the comfortable familiarity of our struggles and searches: You are not alone. The confirmation that we are not alone in this galaxy – that a living, thinking, and intelligent agency exists with us in this spiral of light – constitutes perhaps the most profound discovery in human history. Fear is understandable. So too is doubt, the questioning of our deepest beliefs and religions. This new presence appears wholly alien, and far more advanced than us. We can no longer sail the stars confident in our capacity and in our mastery of what we discover. Fellow human beings, we cannot allow this fear and doubt and vulnerability to guide our hand. After millennia of gazing at the stars and asking whether we are alone, we have finally discovered what may become the greatest gift we have ever been offered: a partner in our quest to understand and explore the galaxy we count as home, and a friend in the dark places beyond the light of our stars. The Children of Raxxla welcome the news of this discovery and urge every pilot to exercise restraint in the face of uncertainty. Lay aside the instruments of war and take up the olive branch of peace, condemn those who would usher an era of conflict and discord and raise up those who would make peaceful contract with these new entities. Never before in our shared history has our future depended to such an extent upon each of us. 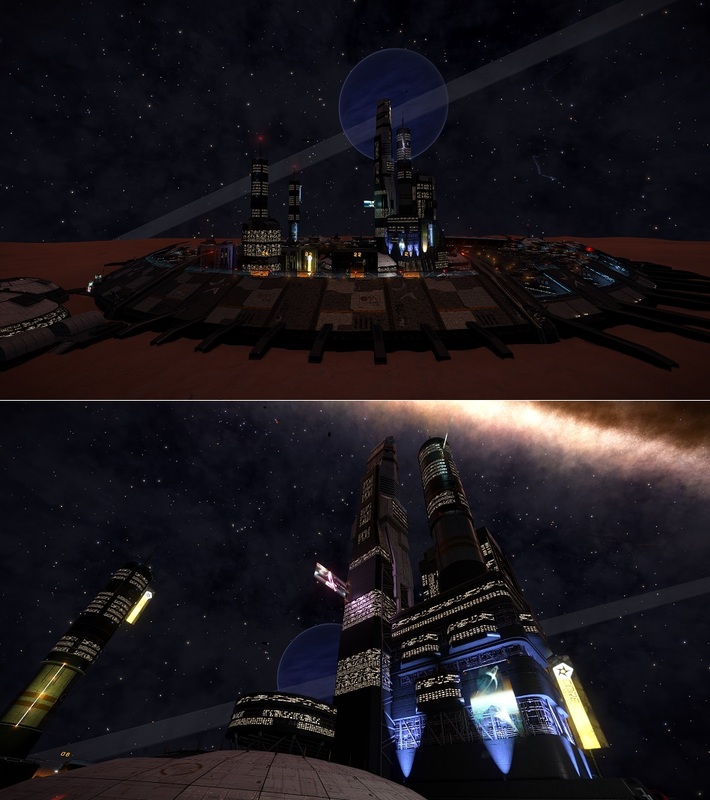 - CoRs official statement (written by CoR CMDR Aleithian), January 6th 3303. Using the exploration data gathered during the recent CG, CoR Intel finally pinpointed 3 locations of interest, one in each of the regions mentioned by Salomé during her abduction back in the summer of 3302; The Formidine Rift, The Conflux, and Hawkin's Gap. CoR Chronicle #10 : Securing the Truth (CoR discover hidden bases from CG data). In the interests of cooperation and acknowledgement of the community effort to unravel the Formidine Rift mystery, the Children of Raxxla issue directive #3 - full disclosure and declassification of several months worth of investigation, dating back to early 3302. The Underworld Theory regarding Salomé. Two theories on the 'Exodus' mystery. A theory regarding the UA origin location. The galaxies first System Description Database. CoR Chronicle #11 : Directive 3. CoR Intel decipher the SRYERBEEACDCIAAEJXFC0 transmission. The message contains the word REBECCA. "REBECCA" is cancelled out, leaving us with "SYREADIAEJXFC0", which is : Syreadiae JX-F c0 (a star system situated deep within the Formidine Rift, and only a few light years off the R/R line). A survey team lead by CoR CMDR Jackie Silver arrive in Syreadiae JX-F c0 several hours later and discover the drifting ghost-ship, The Zurura. They secure its logs. After many years of searching, by thousands of pilots from all walks of life, the Formidine Rift finally gives up one of its most sought after mysteries.